Owing to the rich industrial experience and expertise of the team, we bring forth a fine assortment of PCB Brush. We use cutting-edge technology and high quality material to manufacture the PCB Brushes. The PCB Brushes offered by us are stringently tested and are assured to be durable, rigid, lightweight and easy to use. We also supply PCB Brushes in customized specifications at competitive prices. We are offering a wide range of PCB NYLON BRUSH to our valuable customers. Our PCB Nylon Brush are Made of 100%dupont Filaments. 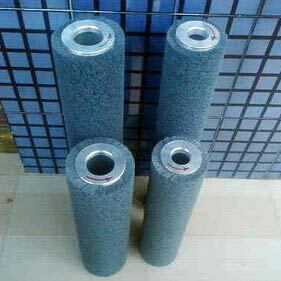 Dia 125*450*50.8mm Grits : 240,120,320,500. Dia 125*610*50.8mm Grits : 240,120,320,500. Dia 105*450*35mm Grits : 240,120,320,500. Dia 105*610*35mm Grits : 240,120,320,500. Note : Custome Size Brushes Can also Be Made.